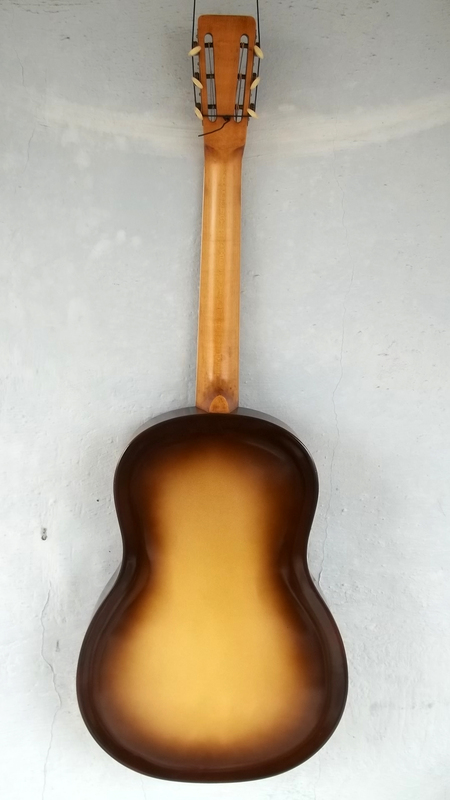 I’ve went from only restoring “frosted duco” finishes, to doing a polychrome finish (the uke in this section), so why stop there. 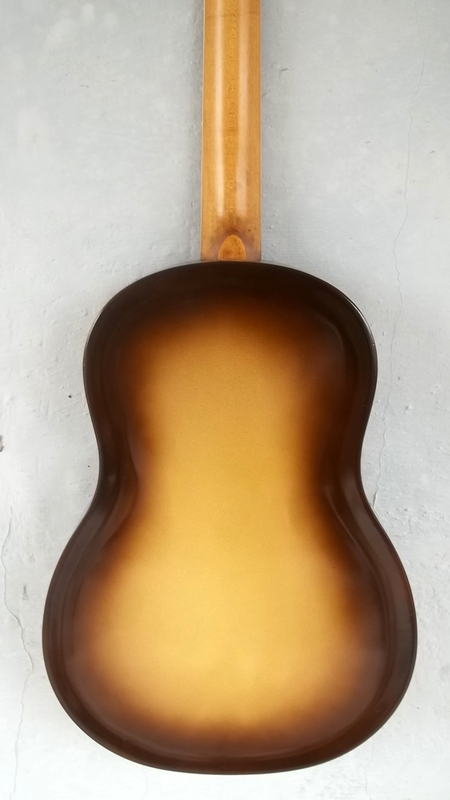 Here is a refinish of a walnut burst Triolian. There are quite a few of these out there, but they seem to retain their original finish pretty well. As a result, not many need refinishing. This one came around and I decided to take the opportunity to give it a shot. 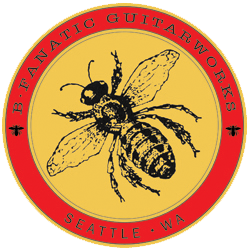 As always, it takes a bit of research to figure things out and with these guitars you find that the originals really varied a lot in color tonality. Yellows, tans, light brown, medium brown and dark brown. So I picked a color palette that I thought represented the era and went for it. 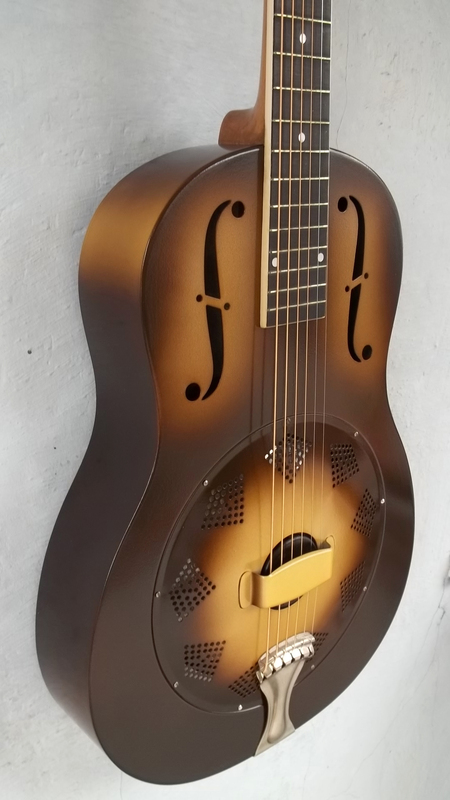 Also, this was an interesting guitar. 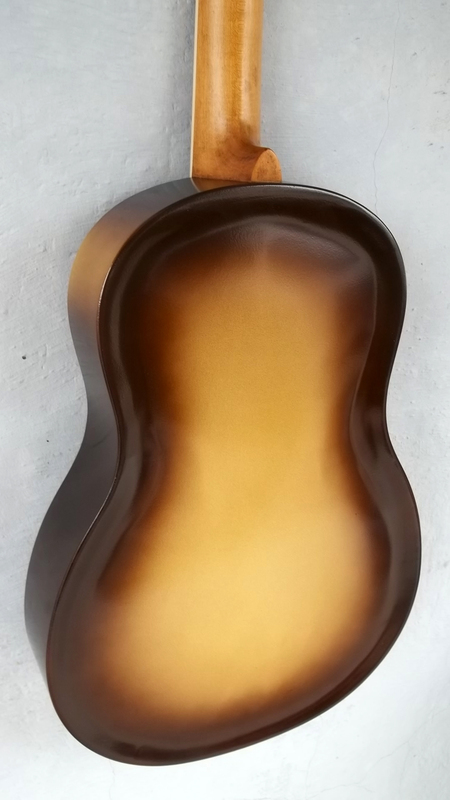 It was very early in the production of single cone guitars and has a three piece body. This method of manufacturing the bodies soon changed when they went to a different forming die and made the bodies in two pieces. 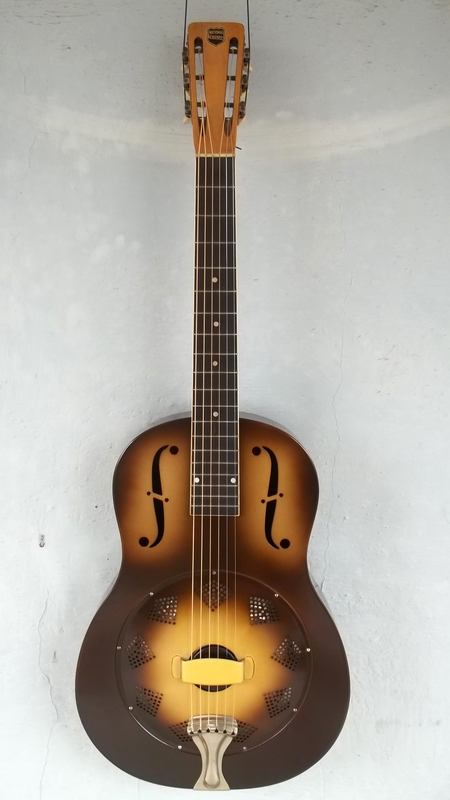 That represented a considerable labor reduction, which would be helpful in keeping the price of the steel-body guitars down as they moved into the Depression of the early 1930s. 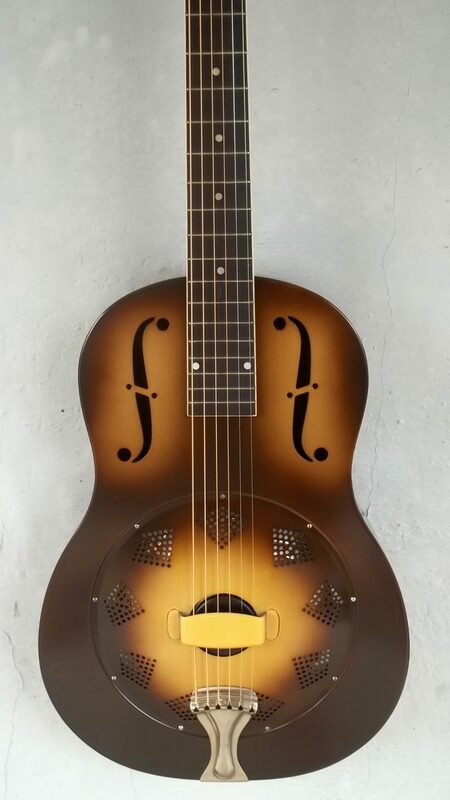 Also, the pattern of the dots on the fretboard was different than what would become the standard pattern for most of the 12-fret, single cone, metal body construction.